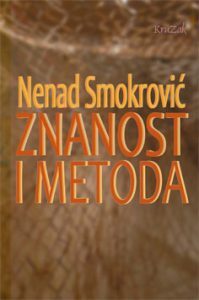 We are happy to announce the publication of Nenad Smokrović’s book “Znanost i metoda” (Eng. “Science and the Method”). Nenad Smokrović is a full professor in the Department of philosophy and Faculty of Economics at the University of Rijeka. He is also a long-term member of the Croatian Society for Analytic Philosophy. His fields of interest are philosophy of logic, theories of rationality, and the methodology of scientific research.